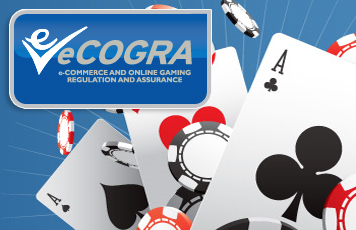 London, 9 December 2009 – Austrian software developer Greentube I.E.S AG has joined the growing number of online gambling software providers that have passed a professional inspection and review process by the independent player protection and standards body eCOGRA. The process includes on-site and highly detailed inspections by an audit team tasked with ensuring that all aspects of the applicant’s software development operations, methodologies and management control systems comply with the international standards enshrined in eCOGRA’s generally accepted practices (eGAP). Compliance Manager Shaun McCallaghan said that the investigative compliance review for Greentube I.E.S AG was conducted at the company’s Vienna base during September 2009 and examined all aspects of the multi-lingual online bingo, casino and poker software used by Stargames. These were found to be fully compliant, and the eCOGRA Seals Compliance Committee subsequently approved accreditation for the company’s products, which must be regularly reviewed going forward. The audit confirms that the development, implementation, maintenance and security of Greentube’s games portfolio and back-office systems are representative of industry best practice standards. Thomas Kolbabek, Head of Integration & Development at Greentube said that the review had been tough, thorough and practical. eCOGRA chief executive Andrew Beveridge said that Greentube’s commitment to safe and fair gambling and respect for players was illustrated by the high levels of professionalism the audit team had encountered during the review. “Greentube is a worthy addition to our growing list of accredited and regularly monitored software sealholders, and in addition the company has commissioned our services to provide monthly casino payout percentage and RNG reviews, and annual bingo and poker RNG reviews, using live data,” he said. Greentube AG, located in Vienna, Austria, is among the leading developers and providers of skill games for the Internet, mobile devices, and iTV. Moreover, the company regularly stimulates international interest with its cross-media formats for the PC and TV. Founded in 1997, the company is run by the original team, which has held a majority stake since 2000. The 90-employee-strong company has since delivered a collection of well-know portals and gaming websites with gaming technology; Greentube has a total of 40 B2B customers. The company is expanding globally (with an export share of 80%). In the last financial year it broke the EUR 10 million turnover barrier for the first time. The focal point of the expansion is the development of individual gaming portals that match the look and feel desired by the customer. In March 2009 Greentube was honoured by the European Multimedia Forum with the platinum “European Seal of eExcellence”, and in June 2008 with the “Multimedia- und e-Business Staatspreis” for the 3D game ‘Football Challenge’. Greentube AG’s sport games currently have a loyal following of more than nine million gamers from around the world – the figure that continues to rise.